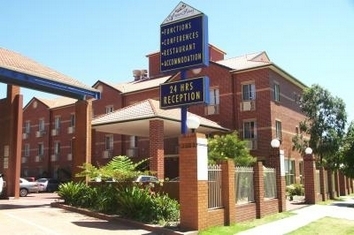 Ibis Sydney Airport is located 1km from the Sydney Domestic Airport and 3km from the International Airport. This hotel is 100% non-smoking and offers broadband internet access in each of its 200 guest rooms. The award-winning 80-seat restaurant, ibistro, is open extensive hours for dining and the cocktail bar is open until midnight. Alternative meal options are available 24 hours a day. Ibis Sydney Airport is just a 20 minute drive from Sydney City, and the local Mascot train station is just a five-minute walk. A shuttle service operates between the Hotel and both the International and Domestic Airport terminals (5:00am to 11:00pm). The cost of the shuttle is AUD6.00 each way, per person (charges are payable direct and subject to change without notice). 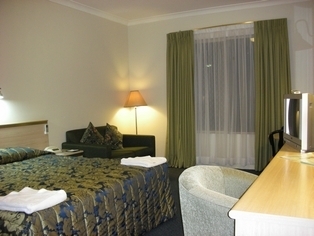 The Holiday Inn Sydney Airport offers stylish and modern accommodation and is located just five minutes from both the domestic and international airport terminals thus making the ideal stopover destination for travelers. 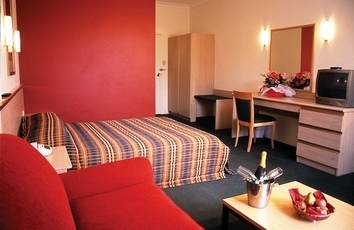 This accommodation offers fully appointed 250 guest rooms including 2 suites with views of Kingsford Smith Airport and Botany Bay. All rooms feature individually controlled air-conditioning, ISD / IDD phones, colour TV, in-house movies, and internet broadband access, radio, desk, and mini bar, bathtub, connecting rooms, iron/ironing board and tea/coffee making facilities. 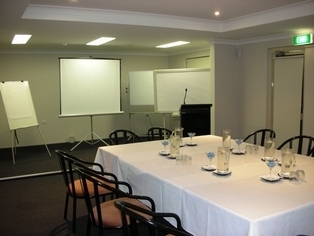 The Holiday Inn Sydney Airport allows its guest to experience the relax and leisured hotel facilities which includes a valet parking, 24 hour front desk with room service, concierge desk, baby sitting, airport shuttle service, indoor pool, gymnasium amp; sauna, guest laundry with dry cleaning services, business centre with secretarial services and five meetings to host meetings and conferences. 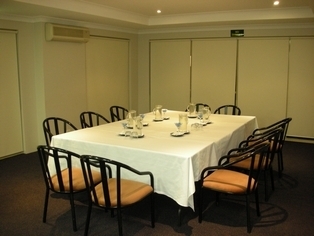 At Holiday Inn Sydney Airport all tastes are catered for and guests can enjoy the extensive range of dining available from Amelia's Restaurant, offering exciting a la carte menu for lunch and dinner with evening specials and fresh buffet breakfast daily. Unwind and relax with comfort at the Biggles Bar amp; Café area for guests to enjoy coffee on the terrace or few quite drinks served with light and easy menus. Kids under 12 eat free from the children's menu, when dining with registered adults. 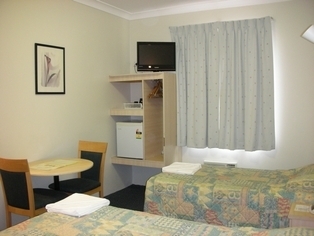 The Holiday Inn Sydney Airport provides a superior, comfortable and convenient way to travel, streamlining the departure or arrival with superb accommodation, friendly and efficient service and hassle-free airport transfers. Whether the guest are travelling for business or leisure, the guest will find these accommodations and facilities most welcoming. The Holiday Inn Sydney Airport is only fifteen minutes drive from central Sydney and all the main attractions, including the Sydney Opera House, Sydney Harbour Bridge, glorious beaches, championship golf courses and internationally renowned restaurants and shopping.